“Outlander” star Caitriona Balfe and Noah Jupe of “A Quiet Place” are joining Matt Damon and Christian Bale in Fox’s untitled Ford vs. Ferrari movie. The film follows an eccentric, determined team of American engineers and designers, led by automotive visionary Carroll Shelby (Damon) and his British driver, Ken Miles (Bale), who are dispatched by Henry Ford II with the mission of building from scratch an entirely new automobile with the potential to finally defeat the perennially dominant Ferrari at the 1966 Le Mans World Championship. Balfe will portray Miles’ wife and Jupe will play their son. Chernin Entertainment is producing and Steve Asbell is overseeing for the studio. Balfe is repped by WME, Emptage Hallett (UK) agent, and Darren Trattner of Jackoway Austen Tyerman Wertheimer Mandelbaum Morris Bernstein Trattner & Klein. Jupe is repped by CAA and Grandview. Better get working on building Fraser’s Ridge, Jamie: Outlander isn’t going anywhere, seeing as how Starz has given the historical drama another two-season renewal. The premium cabler will bring back Outlander for Seasons 5 and 6, TVLine has learned, echoing the supersized pickup the series got for Seasons 3 and 4. The drama, based on a series of novels by Diana Gabaldon, will continue to follow the one-book-per-season formula it has used since its start. Seasons 5 and 6 will unfold over 12 episodes each and will be based on The Fiery Cross and A Breath of Snow and Ashes, respectively. Starz also announced that a 12-episode Season 4, which is currently shooting in Scotland, will premiere in November 2018. For Claire, a great deal of her experience involved pushing against the gender norms of the ’40s, ’50s and ’60s — an undertaking that prompted reflection about how it compares with today. 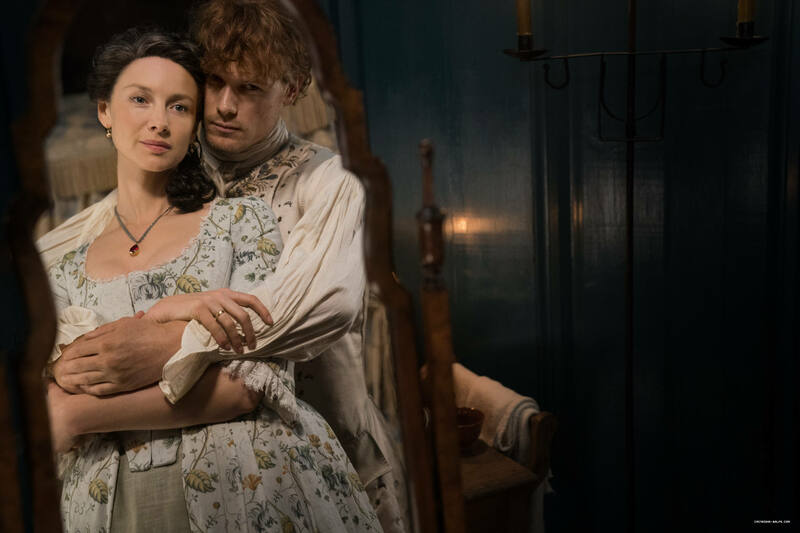 Press/Video: ‘Outlander’ Bosses & Stars Reveal Why Jamie and Claire’s Initials Scene Was Cut From Season 3! During this Droughtlander, the Outlander fans have become an army of very thirsty detectives! Some keen-eyed viewers have spotted a tiny “J” carved onto Claire’s palm and a little “C” etched onto Jamie’s hand in the deleted scenes from Outlander’s third season, but there was never an explanation for the appearance of these mysterious initials on the hit Starz drama. In our quest to cut to the truth, ET caught up with Outlander executive producers Ronald D. Moore and Maril Davis at a special Television Academy panel in Los Angeles on Sunday, and we asked the creative duo to explain the behind-the-scenes secrets of Jamie and Claire’s carvings. “So we didn’t include that scene in the deleted scenes for the DVD, however, sharp-eyed fans found the initials in a separate deleted scene that we had not gone in and digitally erased so it’s like, ‘Curses! They found us! '” Moore added with a laugh. Despite the fact that fans have foiled the executive producers’ plan to keep the initials scene a secret, Davis revealed that it’s “actually kind of fun” that the Outlander audience is so invested in each and every onscreen detail. As for the actors who lived through the cut scene, (pun totally intended!) 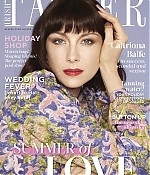 stars Sam Heughan and Caitriona Balfe expressed their reactions to learning that the highly anticipated scene had been edited out of season three. Dinna fash, Outlander fans! It sounds like this special moment between Jamie and Claire could be reworked into another season. For more behind-the-scenes bonus material like this one, pick up your copy of Outlander: Season Three, which will be available on Blu-ray, DVD and Digital as well as on a Limited Collector’s Edition from Sony Pictures Home Entertainment on April 10. Golden Globe nominated actress, Caitriona Balfe joins Ryan to talk about how she went from growing up in Monaghan to finding international fame with hit series Outlander.